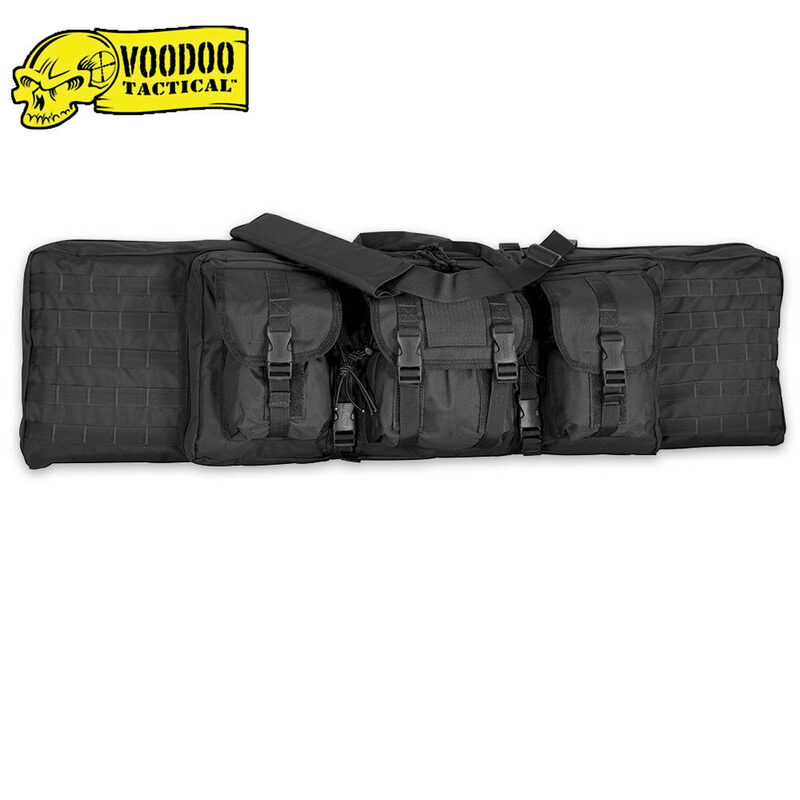 Voodoo Tactical Weapons Case Padded 42 Inch | BUDK.com - Knives & Swords At The Lowest Prices! This Voodoo Tactical™ 42" Padded Weapons Case fits an AR-15, Mini 14, M-16, HK-93 and other tactical weapons not over 42" in length. This heavy duty case is constructed of rugged pack cloth and features heavy duty zippers, three adjustable outside accessory pouches, padded carry handles & strap, removable padded harness, padded sides and perimeter, padded divider, inside accessory pockets, and outside MOLLE/universal attachment points. 42" ov.